Incredible experience! 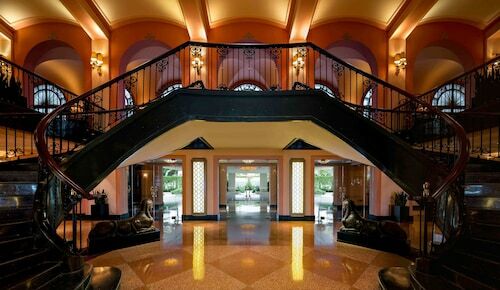 We were treated like royalty from the second we got there. Our suite was to die for!! Incredibly pricey to stay there with the food costs etc, though. The rooms were great and the beds very comfortable. Ultra-modern, beautiful, and sparkling clean describe this delightful hotel! Attention to detail everywhere. Staff impeccably trained and highly skilled. We loved our stay and would recommend this property without hesitation! The rooftop bar and restaurant is great and service was awesome. The lobby area is small but they were efficient in checking us in. Andrew called day before arrival to see if we needed any special accommodations for our stay. We stayed one night prior to our cruise. Good free breakfast in the morning. Comfortable clean rooms. Would stay here again before going on our cruises. The property and staff were great! Courtney assisted us checking in and she was awesome! I definitely recommend this hotel to anyone, you’ll love it! The hotel is easy to find and very cute but hard to find parking. So you're thinking about a trip to San Juan? If you want a place to call home that's located near some well-known San Juan attractions such as San Juan Gate, Port of San Juan, and Condado Beach, just go to Orbitz, choose your travel dates, and voilà! Look through the list of hotels and other accommodations to find those that are close to everything you want to see and do. We make it easy to find a convenient flight to San Juan (SJU-Luis Munoz Marin Intl. ), which is 7.4 mi (12 km) from the city center. Find your ideal flight in a flash by using the filters on our site to narrow down your search. 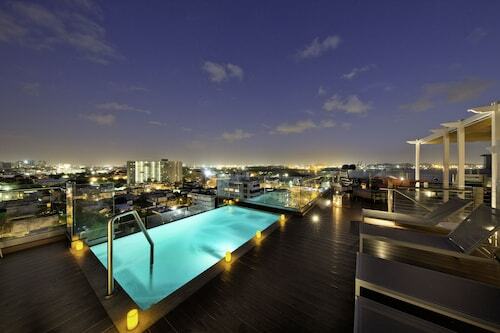 Go for a swim when you stay at one of these San Juan properties, noted for their pools. What's the Weather Like in San Juan? Oceanview Beachfront Studio In Isla Verde Ave!